I came across some very interesting new technology recently - specifically, the use of super-capacitors in automotive technology to solve a relatively simple problem - it is a good example of how innovative technology can find a place in day to day use, once the technology becomes cheap enough! I encountered vehicle start assistance devices that employ super-capacitors! but first of all - what is a super-capacitor! they are also known as ultra-capacitors but basically, they are the same as any other capacitor - an electrical energy storage device that stores this energy in a dielectric field between two electrical ‘plates’. In function, similar to a battery, the difference being that a battery uses electro chemical storage. The super-capacitor however has a much greater energy storage capacity when compared to traditional types of capacitor - this greater capacity has led to super-capacitors being employed in some fields where a traditional battery may have been used, but where they can provide a specific set of advantages over and above. Super-capacitors, like many other technical innovations, were developed for military applications and they have several benefits - they have a much lower sensitivity to temperature and can actually still perform very well at very low temperatures (-40 degrees Celsius). 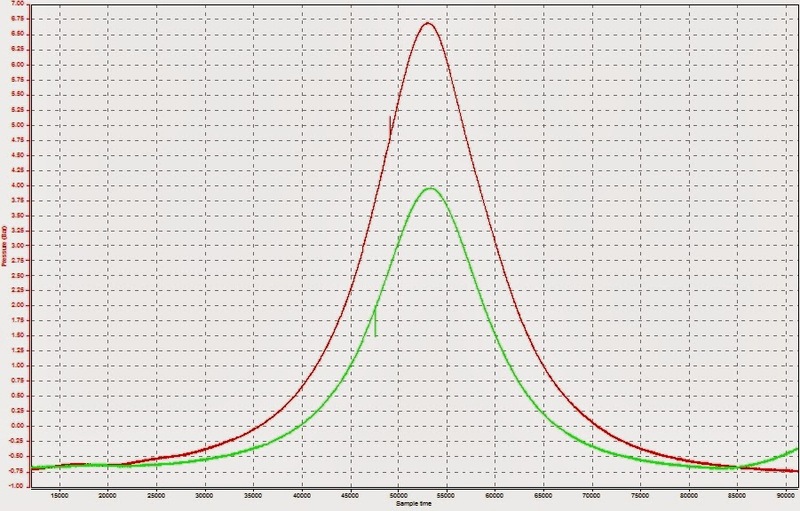 They also have excellent performance with respect to power flow density - this means they can accept repeated high capacity charging and discharging and this is a clear advantage when compared to a chemical battery (which requires a chemical reaction to take place during the energy conversion process, this takes a finite length of time thus increasing the response time to a sudden power demand). Another advantage is the life cycle - even under harsh charging and discharging duty cycles, super-capacitors maintain their performance and their expected life is much longer than a chemical battery for the same operating conditions - 10 years is expected as a minimum! These devices are already in use in the automotive technology domain - in Formula 1 - the super-capacitor is ideal as a storage device for electrical energy from KERS and HERS energy recovery units. The high power flow density is ideal for this application as a replacement for the battery, or as a parallel device, in order to manage the complex energy flow and storage requirements during a race. After some internet research I also found another interesting development for super-caps - vehicle flat battery assistance, also known as jump starting! I found some applications where super-caps have been employed for this - either as 'jump start' packs, or as units permanently installed on the vehicle alongside the chemical battery. 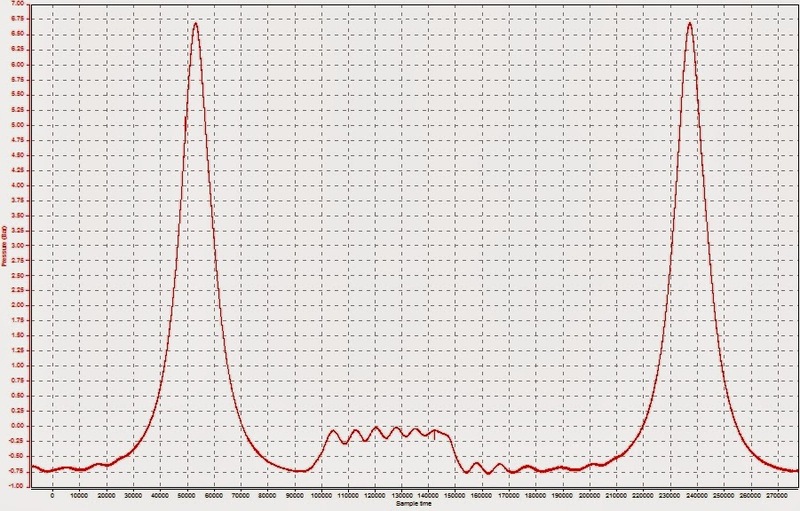 In particular, commercial vehicles operating in extreme conditions at low temperature - Ice road truckers for example. In this domain they are ideal as the potential cost of downtime is very high for these vehicles. The additional weight and cost of a second storage device in addition to the battery is insignificant on a large truck or earthmover, especially when compared to the risk of not being able to start the vehicle at very low temperatures. Super-capacitors are ideal for mobile jump starting (as a jump start pack) as they require much less maintenance when compared to the use of a chemical battery. They are ideally suited for where a lot of energy is required in a short time i.e. 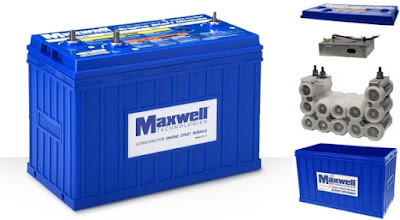 to crank the engine, they can be charged quickly for use (seconds or minutes), hence the pack does not have to be maintained on charge when not in use. However, if the super-capacitors are combined in a jump start package, along with some clever electronics - it is actually possible to charge the super caps from any available low voltage source - but how is this possible? well, the clever electronics is actually a DC-DC converter - which is a device capable of transferring electrical power at different voltages levels (input compared to output). 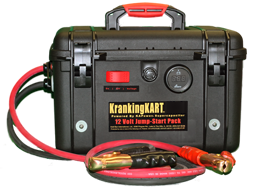 These devices are already in use on certain vehicles, specifically those equipped with start-stop engine technology – the reason is that during an engine start , on a vehicle equipped with a traditional style electric starter motor, the starting current draw is sufficient to cause a 'dip' in the vehicle system voltage. Some systems are sensitive to this and may cause the action of a start/stop system to be more obvious to the driver. 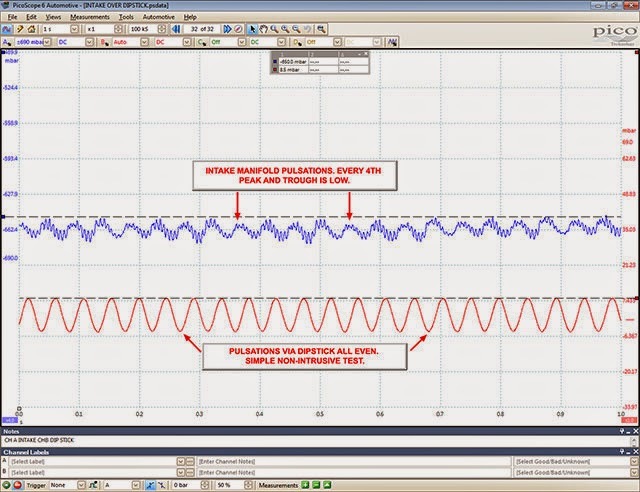 To avoid this, these electrical systems are connected to a DC-DC power supply system, which maintains a constant voltage and power level to avoid any perceivable response to voltage fluctuation for driver evident systems like HVAC, entertainment and driver information. 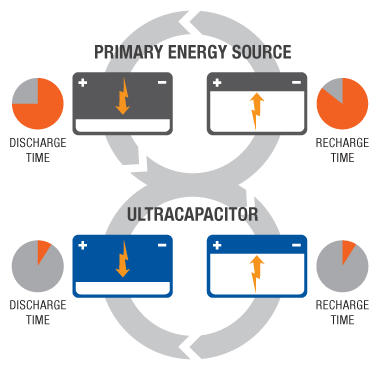 Super-capacitors have a higher energy flow density but not a high energy storage capacity. So, it is possible to charge the capacitors with a relatively small power source, the DC converter acts like an electrical transformer to step up the voltage to charge the capacitors with sufficient energy for a single start operation. 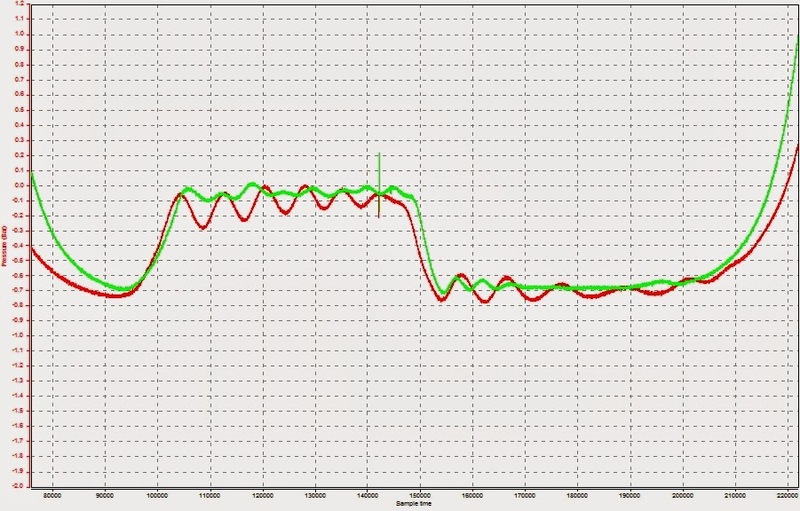 This is where the capacitors win over a battery due to their power delivery capability. Another interesting development is that using this power transform capability - the capacitors could actually be charged from the dead battery itself - as long as it has some voltage and power capacity. 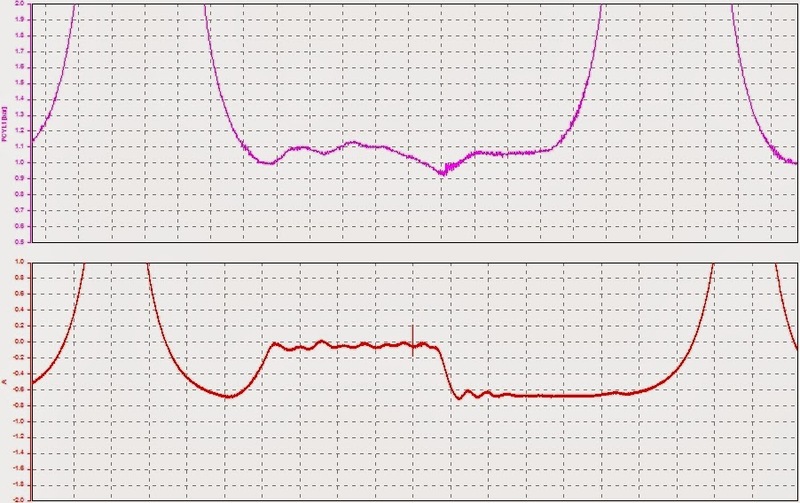 This seems difficult to comprehend but you should remember that the normal failure mode of a chemical battery involves its ability to deliver high power for starting - it is less often the case that the battery cannot deliver any power, even a small amount over a longer period of time, so this fact can be utilised for charging the capacitors for a start assistance situation. The question now is, what does a package as mentioned above look like? 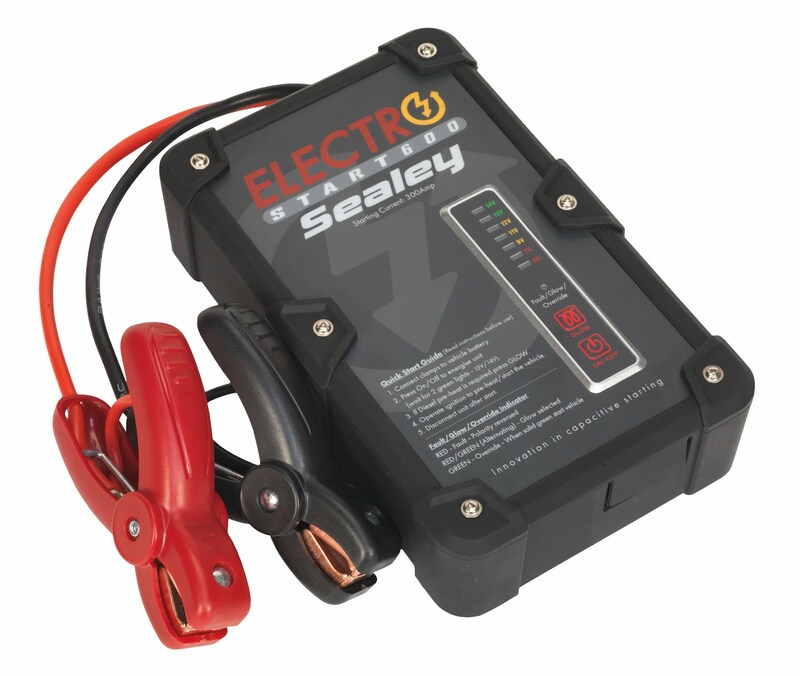 I have been lucky enough to get access to the very latest device that incorporates all the features above - it is sold in the UK by Sealey (www.sealey.co.uk) who have an exclusive licence to sell the device with the manufacturer. The device is sold as a 'battery less' jump start pack - it is small and light when compared to a battery based device. It needs no maintenance and charges from the dead battery, or from another vehicle, or via USB. It can also be used with the vehicle battery open circuit, for situations where the battery is completely dead! 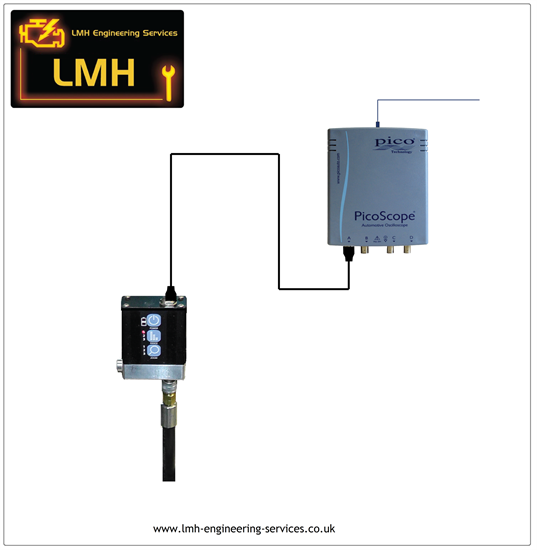 In service, it works well, the package is aimed at passenger car users and can supply about 300 amps, this is more than enough power and the device also includes a diesel glow plug support mode to allow pre-heating time. My personal view is that this technology will definitely been seen more and more in Automotive applications. Modern vehicles have complex energy flow requirements, and increasing electrification will mean that an electro chemical energy storage device alone, may not fulfil all the technical requirements. So, my opinion is, that to support all the energy storage requirements and consumers in forthcoming vehicle platforms, a balance of energy storage technologies will be required – including traditional style wet batteries, advanced batteries with new chemistries, capacitors and even mechanical storage (hydraulic, pneumatic, flywheel). Wiring diagrams! Not dissimilar to Marmite! Perhaps I should explain - you either love them, or you just don’t ‘get’ them. If you do have access to a wiring diagram, it can save you a lot of time when diagnosing faults or trying to understand how an electrical component or system works. So on the whole, they are useful, and they can save you a lot of heartache. The biggest problem is consistency, or lack of it! Many manufacturers have their own idea of the best way to draw a vehicle wiring diagram, different representations that vary with manufacturer is the first of a series of confusing issues, add to this the increasing complexity of vehicles over time, plus the lack of harmonised wiring colours for vehicle electrical systems, and the whole thing becomes more complicated than it’s worth, especially when you can pay someone else to fix it! In this blog feature, we’re going to show you the basic, most common types of wiring diagrams, and how to read them, so that you can decipher your auto-electrical hieroglyphics. This diagram type focuses on representing the actual flow of current around the circuit. Simple lines are used to show interconnections, and symbols are used to represent components. The drawing does not really represent to layout of the actual wiring system. The above methods of visually representing electric circuits are often combined for vehicle wiring diagrams. Over the years different manufacturers have used various approaches and have often devised and developed something unique. It’s well worth familiarising yourself with the most common types your likely to encounter, then, you’ll be able to cope with most things you’re likely to encounter. Some of the most commonly used approaches, by various manufacturers, for representing a vehicle wiring system are shown below. By far the most logical and useful type is the current flow diagram, used extensively by German manufacturers, and others (Japanese vehicles). Although the current flow diagram does not resemble the vehicle wiring layout in any way, shape of form, it uses current ‘tracks’ to represent sections of the wiring system, with cross reference markers where wires interconnect. 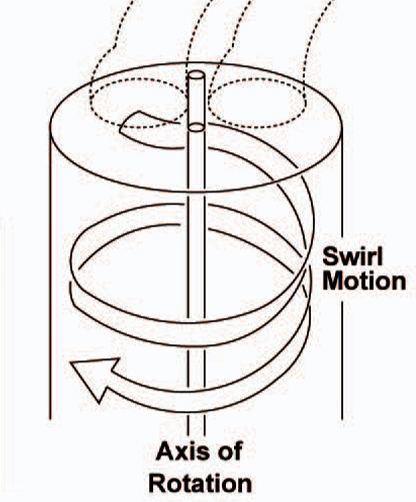 Along the top of the diagram are the main supplies, the current flows down the page to the earth connection running along the bottom. The wiring system is broken into sub-sections, and with this approach it’s much easier to focus on a specific area (e.g. lights, ignition system) when following the circuit path. This type of diagram can be used to represent the more complex systems, such as those found on newer vehicles, in this case, the wiring diagram will be pages and pages of reading. This diagram type shows the actual layout of the vehicle wiring harness, and the main groups of cable runs. Wires are shown as lines and are often identified with colour codes. The diagram type is more representative of how the wiring system is laid out in the vehicle, and specific, key points of interest, like earth points or main connector junctions are clearly identified as to their position on the vehicle, this can help loads when you’re trying to locate one of these. However, this type of diagram can be difficult to interpret, especially when you are trying to follow the path of an individual cable – my advice...photocopy the diagram and get your highlighter pen out! this will allow you to mark and follow the cable around the diagram. These were the first type of diagrams used to represent the vehicle electrical system, (which were, at the time, pretty simple). They are a combination of pictorial and schematic representation, and were sometimes in colour, showing the actual cable colours used. The diagram showed the actual layout of components, and each component was clearly identifiable as it was drawn as to closely represent the component itself. This meant less reliance on a diagram ‘key’ when using the diagram. This type of diagram works for less complicated electrical systems, but later vehicles (80’s onwards) were a bit too complex for the system to be represented with a diagram of this type. The above diagrams will cover the majority vehicles encountered. However, there are always exceptions to the rule – for example, French, or eastern block cars. This is where the ‘diagnostic skills without diagram’ come to the fore. However, if you encounter a more obscure vehicle, complete with a wiring diagram, then that’s still a good position to be in. Just be aware of the idiosyncrasies that you may come across, for example, French cars tend to use a simple wiring colour scheme with about 4 basic colours, with the wires ‘tagged’ at each end. The problem with this is that half way along a wiring loom; you won’t be able to tell one wire from the other! Note also that the wiring diagram for these vehicles is just as confusing! with many variations and undocumented changes, irrespective of this, something is always better than nothing, and a diagram will always help. You are always going to come across a situation at some point, where you don’t have a wiring diagram. 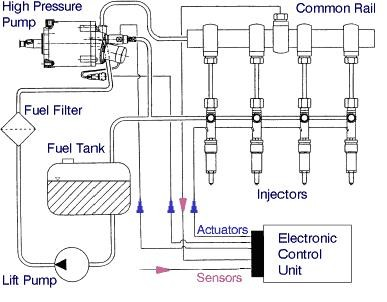 So, it is also worthwhile when you are using one, trying to make a mental note of how the diagram relates to the vehicle system itself. Also, any general conventions that you may come across – for example, the way headlight circuits are generally fused. 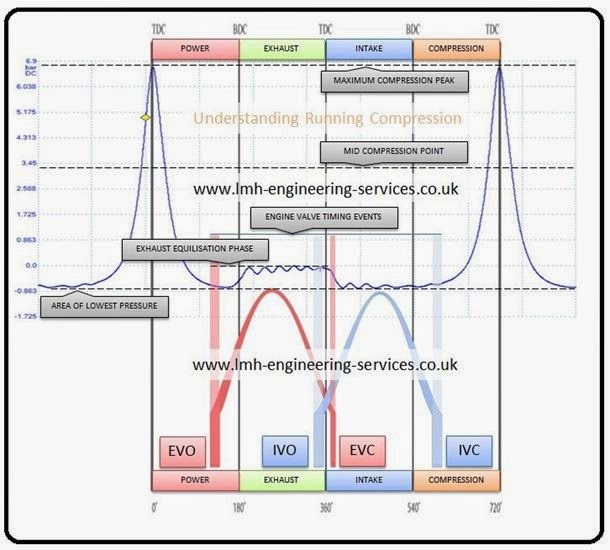 It’s well worth getting into the practice of being able to cope without a diagram and this will help you be more self-sufficient so that you can diagnose faults or understand a cars electricky, in the cases when you don’t have one. Smaller engines with higher power outputs are already a fast moving trend (downsizing), this trend will continue - with almost unbelievable targets. Development goals of gasoline engines producing 200kW/litre are being considered by OEM's – the biggest challenge here being durability – that is, how to make such a powerful engine last in production. These gasoline engines could be classified into lower and higher power engine design catagories – with the break point between them being around 180kW/litre. 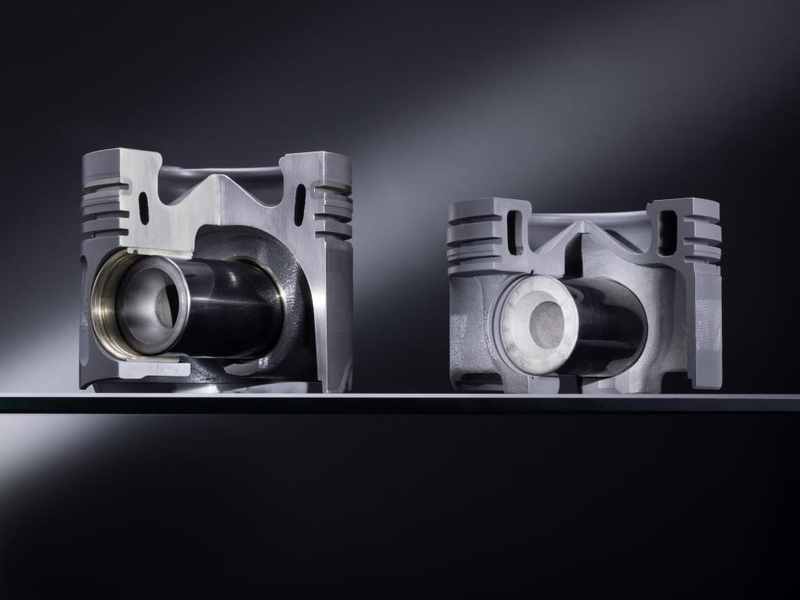 For lower power densities, the main enabling technologies will be the adoption of Miller cycling and cooled EGR, in conjunction with cylinder deactivation and variable compression – although this latter technology is expensive! 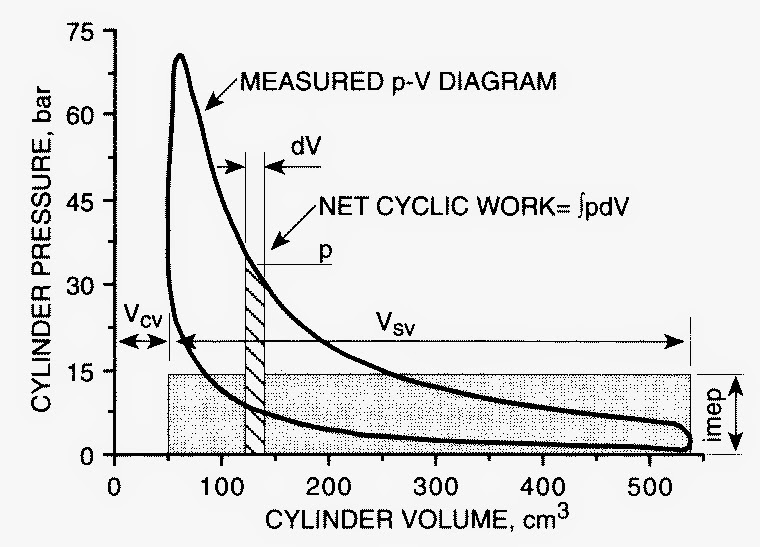 In addition, Miller cycling requires specific design attributes for the inlet air path, valves and combustion chamber – reason being, to promote strong tumble in the incoming charge as this ensures enough charge motion to provide good turbulence in the mixture, for rapid flame growth – that would otherwise be compromised due to the late closing of the inlet valve. New spark plug electrode designs are under development in order to produce turbulent jets of burning mixture into the combustion chamber, as opposed to just an electrical arc to provide an ignition source. 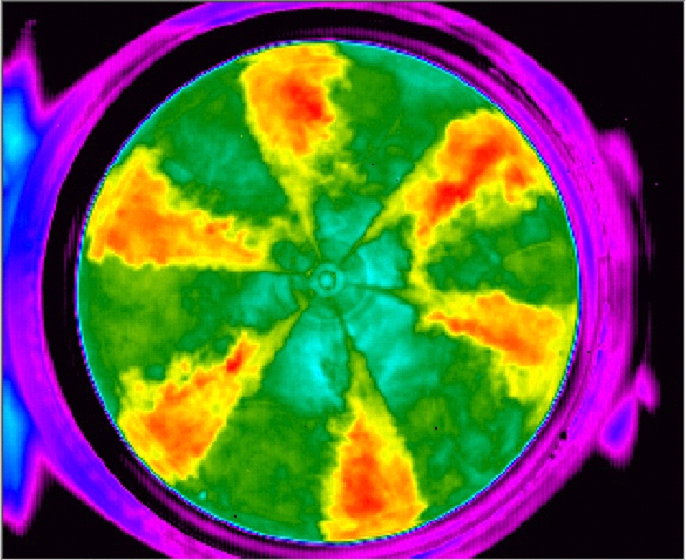 Laser ignition has shown very promising results, however, at the moment this technology is still confined to the laboratory as it is expensive and physically too large for production applications. 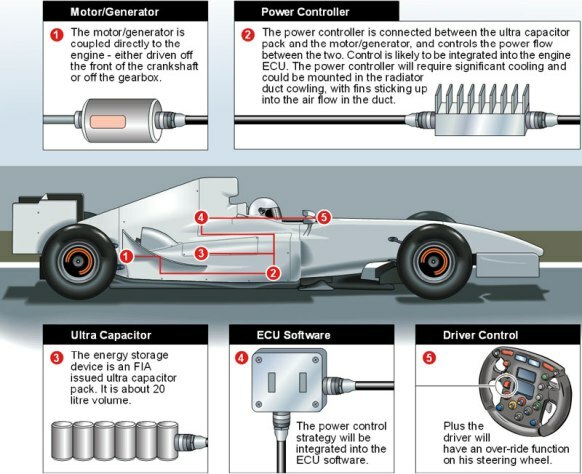 Figure 3 - Electric cylinder charging systems will become the norm. 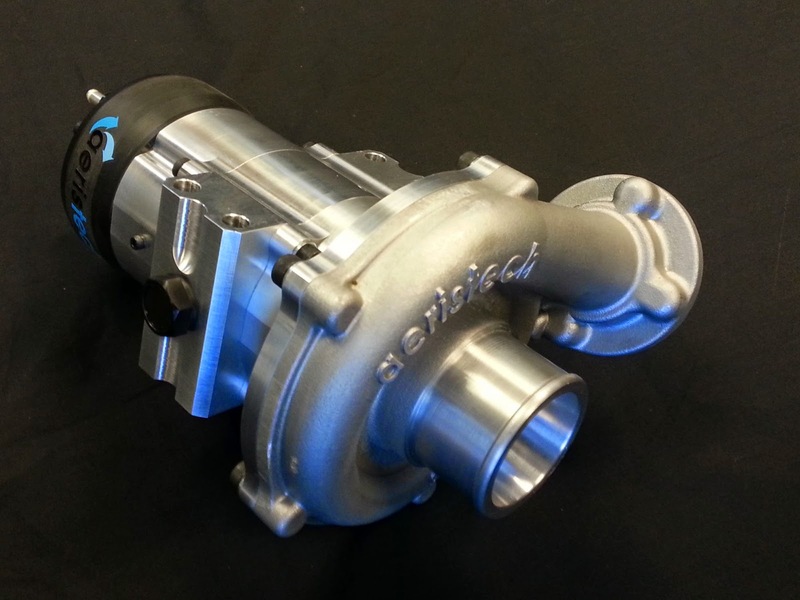 For higher power densities (likely to be adopted in performance vehicles) variable cylinder charging and porting concepts will be used in addition to the above developments. 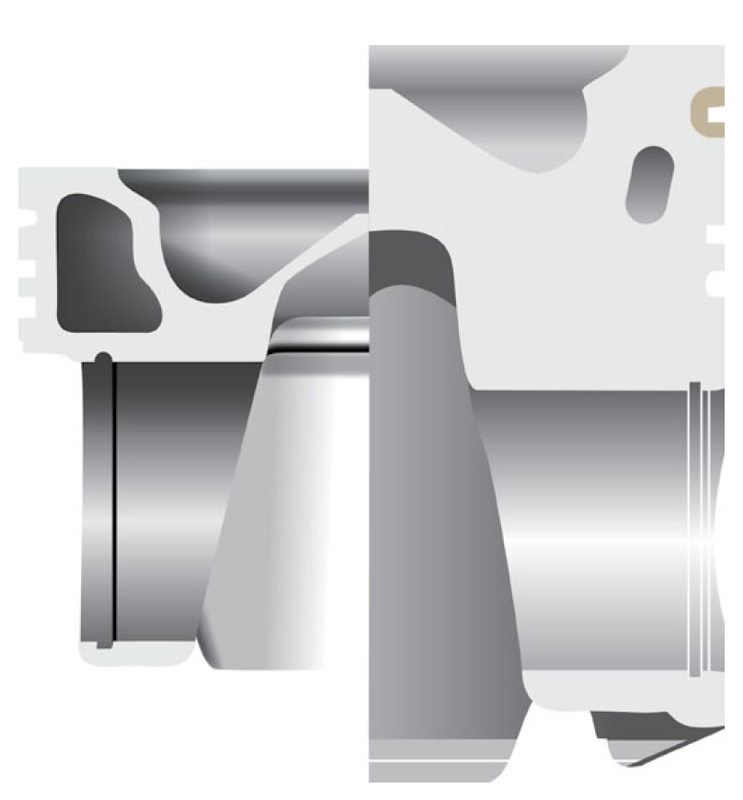 Multiple charging systems (turbo, super and e-booster) will be used to employ charging and evacuating of the cylinder. Dual injection systems will be used, with port injection for use at high-load conditions, to reduce particle emissions. 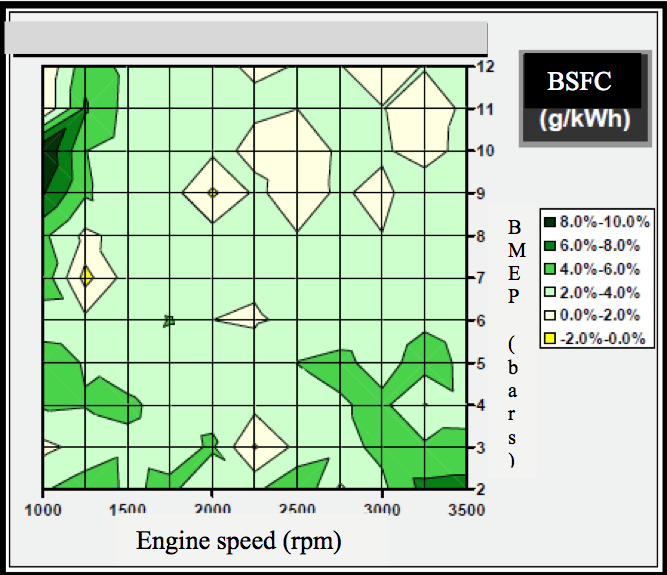 For very high performance engines, in order to provide the required durability, it is likely that control system strategies will be used to ‘limit’ engine power below normal operating temperatures (cold start and running). This restriction will allow an increased safety margin for engine components - promoting longer engine life. 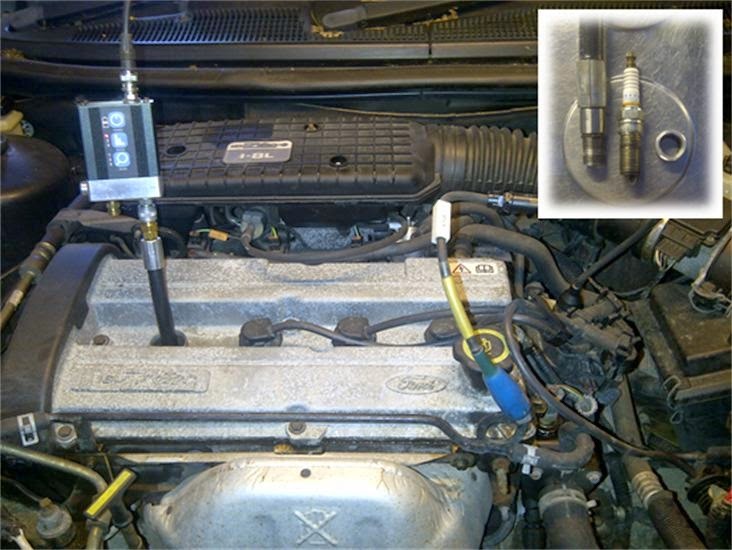 In addition, these strategies could include the adoption of a ‘spark plug cleaning’ mode – to ensure that a high performance vehicle that is not driven with sufficient load/speed regularly, will not break down due to fouled spark plugs. 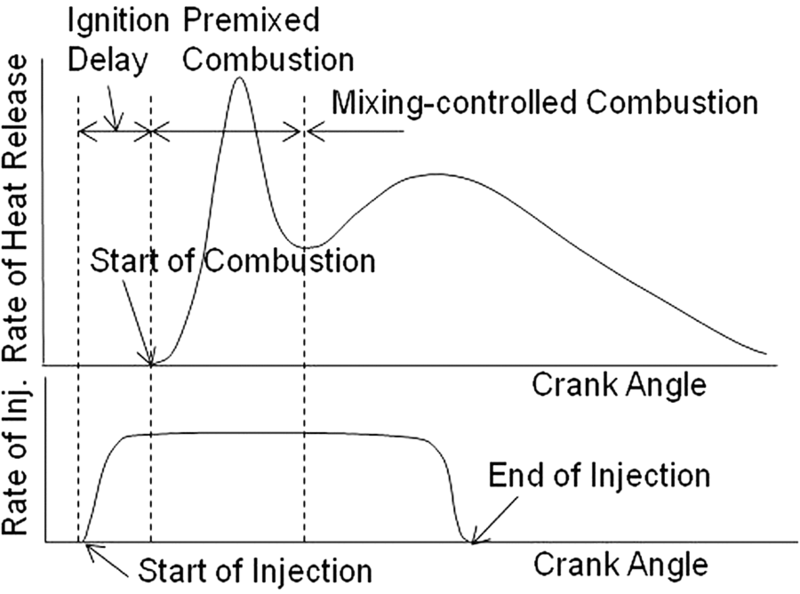 (similar in concept to DPF regeneration). A recent visit to Morgan Cars prompted to write this article. I was really interested to see how the mix of classic heritage skills is being blended with high-tech Engineering to produce really great, desirable cars. This is a picture you can see mirrored at other strong British automotive brands (JLR, Aston Martin, Bentley Motors etc.). Morgan Cars is a high value brand, associated with the traditional, high quality craft skills needed to create a classic British sports car - one that creates excitement and enthusiasm for the driver. Thus, buying and owning a Morgan is a really special and personal experience, knowing that you have invested in a vehicle that has been designed, created, Engineered and manufactured with exceptionally high precision and care. This has been the Morgan tradition and hallmark for many years! Times are changing though, legislation in relation to safety and exhaust emissions are the main drivers for technological developments in Automotive Engineering. Customer expectations are high with respect to performance, drivability and emission compliance - and Morgan has no exemption here! So the question is - what is Morgan doing to meet these challenges. The answer is that Morgan is investigating a number of technologies to investigate and meet future challenges. A considerable undertaking when you consider that one of the constraints is to retain the heritage and tradition of the brand and the marque! In general, light weighting concepts have a number of benefits - advanced materials have superior stiffness, providing improved handling chassis. 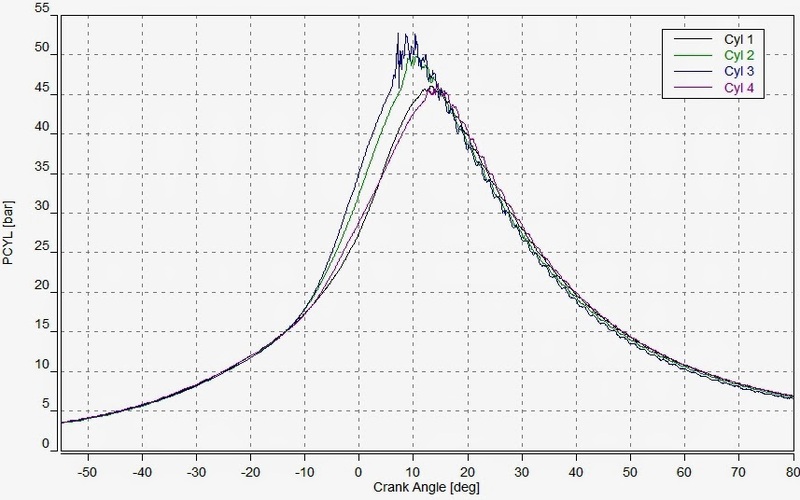 The lighter overall weight reduces inertia - improving acceleration and cornering performance. However, a real benefit in fuel consumption (and reduced emissions) can be gained by reducing vehicle mass as much as possible (whilst maintaining structural integrity). Morgan has successfully experimented with magnesium for body structures - which is the lightest structural metal available (30% less dense than aluminium). 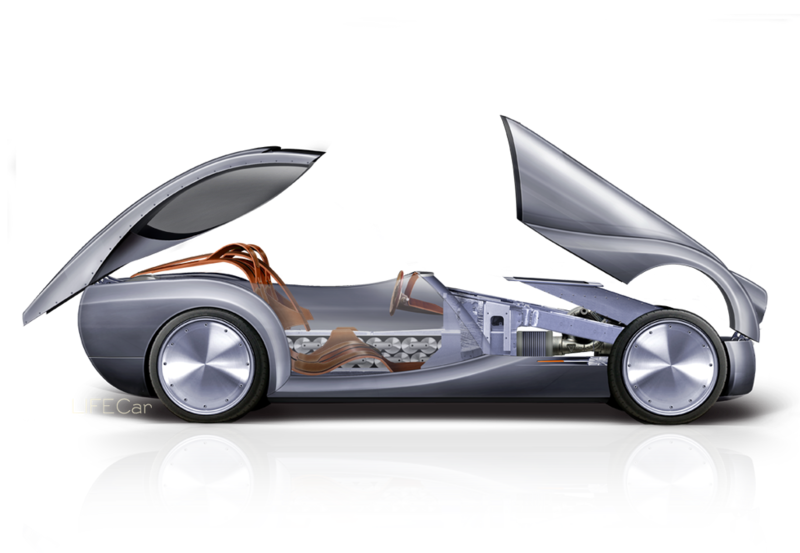 The use of sheet magnesium for vehicle structural applications requires hot-forming, increasingly being adopted by premium car manufacturers, as this process can produce large, complex body panels. Morgan intends to adopt the newly developed technologies (produced by an experimental project) on its next generation of premium sports cars. This is a general term used in Automotive Engineering covering numerous applications of applying electric drives and motors in order to provide power for accessories, or traction – but only when needed (for example electric power steering). Morgan has experimented with the option of a full electric power train, a project known as the Plus-E. An electric sports car with a five-speed manual gearbox, designed by Morgan with the support of British technology specialists Zytek and Radshape. This was developed as a concept vehicle to test market reaction, but the radical new roadster could enter production if there is sufficient demand. This vehicle combines Morgan’s traditional look with high-technology construction and a power train that delivers substantial torque - instantly at any speed! This is combined with a manual gearbox to increase both touring range and driver engagement. 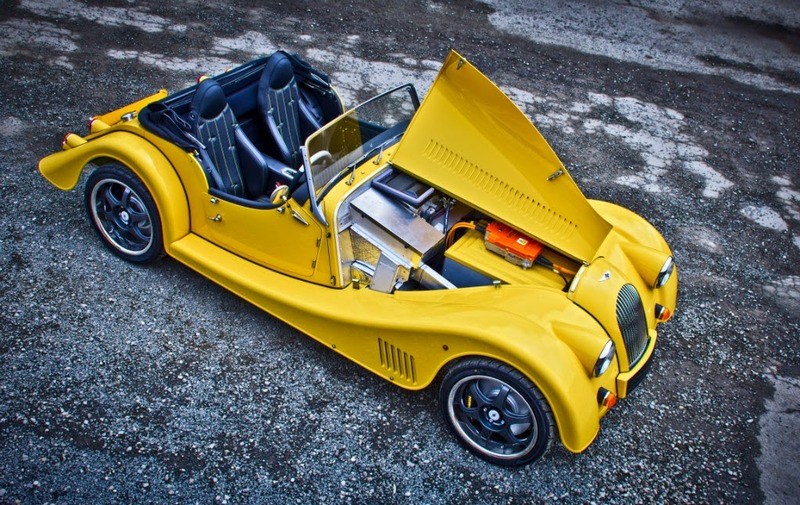 The Plus E is based on an adapted version of Morgan’s lightweight aluminium platform chassis with power provided by a new derivative of Zytek’s 70kW (94bhp) 300Nm electric machine (already well proven). The power unit is mounted in the transmission tunnel and drives the rear wheels through a conventional five-speed manual gearbox. However, the system has sophisticated electronic controls to synchronise the motor speed and torque during shifts, to provide a seamless gear change with minimal interruption of traction for a perfect gear shift. The combination of multi-speed transmission and high torque e-machine allows operation of the motor at maximum efficiency, for as much of the time as possible, whilst providing the best possible performance for the driver experience. The project is future oriented and encompasses the exploration of alternative transmission types (CVT, DSG) as well as different battery chemistry options. Morgan employs state-of-the-art Engines, supplied by leading Automotive Manufacturers. These power units are integrated into the overall Morgan chassis and then calibrated to adapt them to the unique character of the Morgan vehicle. The power units are selected specifically to incorporate the latest technologies for emissions reduction and engine efficiency. 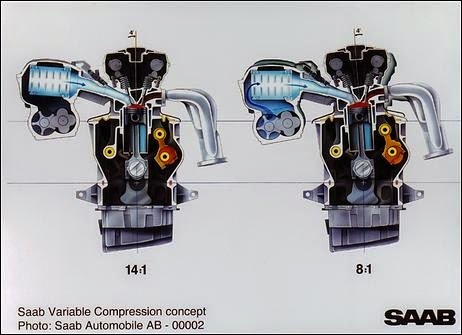 For example, the V8 power unit employs direct injection - this technology improves efficiency at part load due to the fact that no throttling of the engine is needed to control power output (it's controlled by injected fuel quantity). 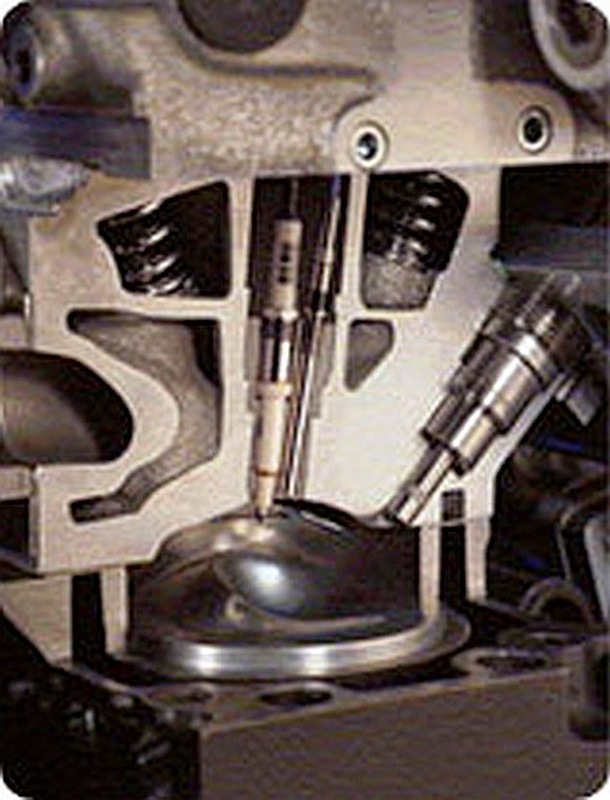 In addition, knock resistance (knock is a limiting factor for the efficiency of a gasoline engine) is improved by advanced fuel injection systems that use high pressures, to provide a well prepared fuel/air mixture - this is advanced technology but, the current state of the art engines now include downsizing or down-speeding concepts in order to reduce friction losses and operate the engine at maximum efficiency for as much of the time as possible. 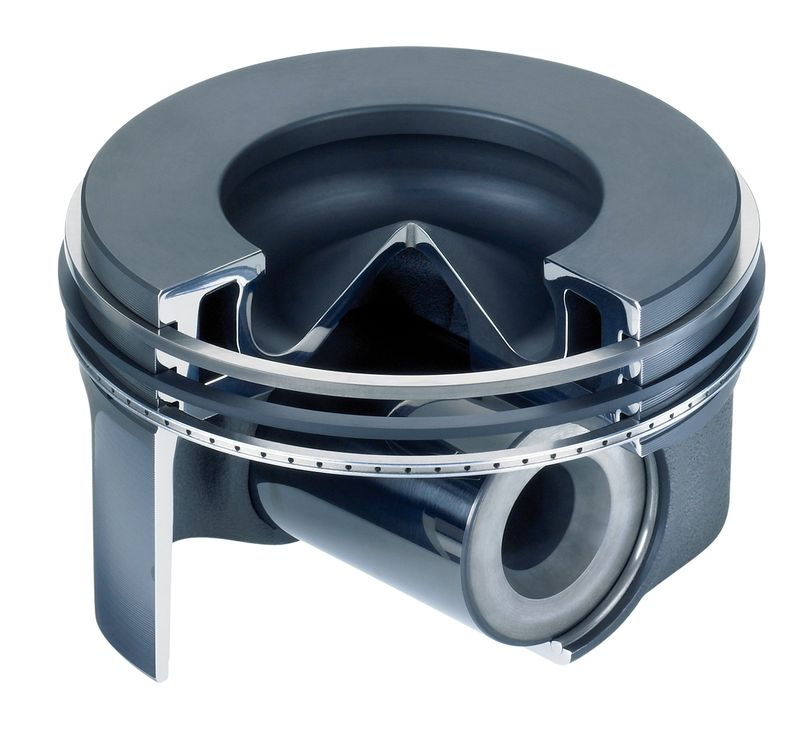 Engines with high specific power outputs, based on turbo-charged/boosted concepts, are expected to dramatically increase their market share within the next five years. Further down the pipeline, engines will evolve again to meet ever changing and more challenging targets - technologies such as Variable valve lift, Variable compression ratio and variable ancillary drive systems (oil and coolant pumps) will become mainstream, in addition to energy recovery (thermal and kinetic - as used in Formula 1 from this year) - this area is very promising technology to improve overall power train efficiency. The transmission and the engine have to be considered and optimised together in order to provide a harmonised power unit that delivers the performance expected by the driver, combined with meeting legislative demands. Manual transmissions are common with 5 or 6 ratios. However, in the near future, more ratios are needed, in conjunction with automation of shifting and control, in order to keep the engine operating in the optimum fuel consumption range. It is suggested that 10 speed transmissions will be needed and common place (in DSG form). This could be combined with an electric machine for low power requirements at low speed. Electrified transmissions with electronic control can be used to reduce fuel consumption and emissions in several ways - The e-machine can provide power at low or zero speed where the combustion engine is very inefficient. The shift control strategy can be combined with engine control to give the optimum shift point for maximum efficiency. Also, the electric machine can be used to provide seamless shifting and constant tractive power. There are a number of transmission concepts available and in use, but no clear leader. If integrated into a Morgan Cars power train, the transmission concept chosen will have to support the performance and driveability that matches the marque! 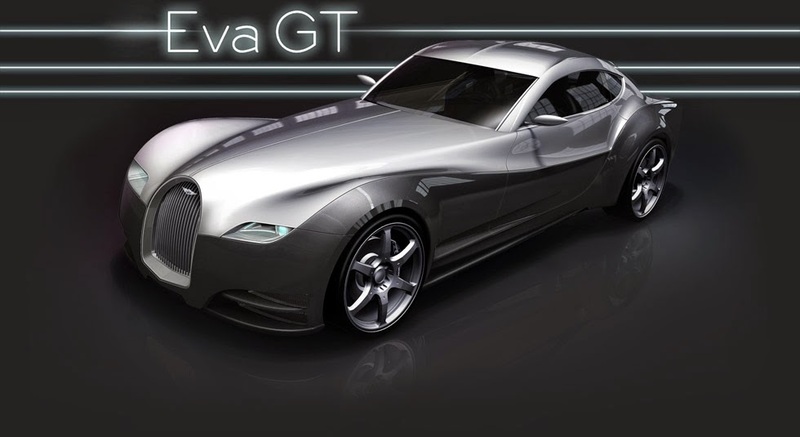 The Eva GT – tomorrows Morgan available today! High technology, advanced design, stunningly attractive! A combination of future technologies has been combined in the Morgan life car project. This prototype received a rapturous response and according to some sources, Morgan has decided to take it from a prototype to a fully-fledged production vehicle. There have been some changes to the original brief, making the car more practical, while retaining the revolutionary features that made LIFE car unique. The Morgan life car project – Next generation of Morgan sports car combing light weighting with an advanced powertrain. There is no single technology that will secure the future for Morgan, or any other manufacturer. Even the mainstream manufacturers are gambling with a combination of low carbon technologies in order to meet or achieve current and forthcoming requirements. It could be considered that Morgan cars, as a manufacturer of 'niche' vehicles does not need to lead but just follow industry trends. However, that is not the Morgan way! Even though production volumes are low (compared to the mass market), innovation and technology are within the Morgan DNA. As the only remaining, true British manufacturer, Morgan takes its responsibility to be a leader very seriously. A clear example of this is the position Morgan takes in this area, with many research projects and collaborations with leading universities, who can undertake the research task and produce tangible technology that can be ported into production by Morgan. There is no doubt - Morgan is a leader in pushing the boundaries of design and technology for Classic British sports cars, and will continue to do so for many forthcoming generations.